Let’s explore the basics of email marketing by answering the what, how, why, when, and who of email marketing. Aside from unveiling the aspects and tactics of email marketing, we’ll also be sharing some tips and tools. 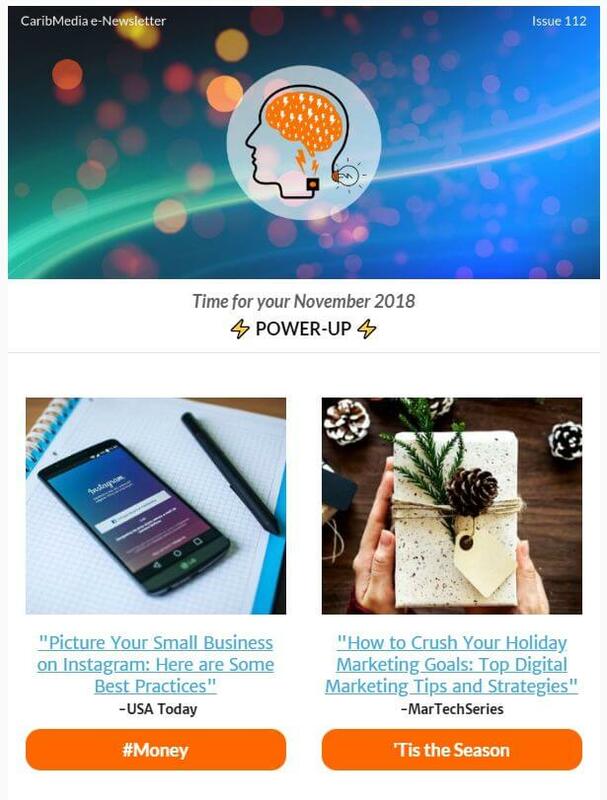 In case you’re interested in some local insights, you’ll be able to see a snippet of our very own, generated-in-Aruba, monthly newsletter below too! There is a 2018 survey that states that “nearly 70% of businesses make use of email marketing”. Are you making the most out of your potential money-making data, a.k.a your email list of client email addresses? 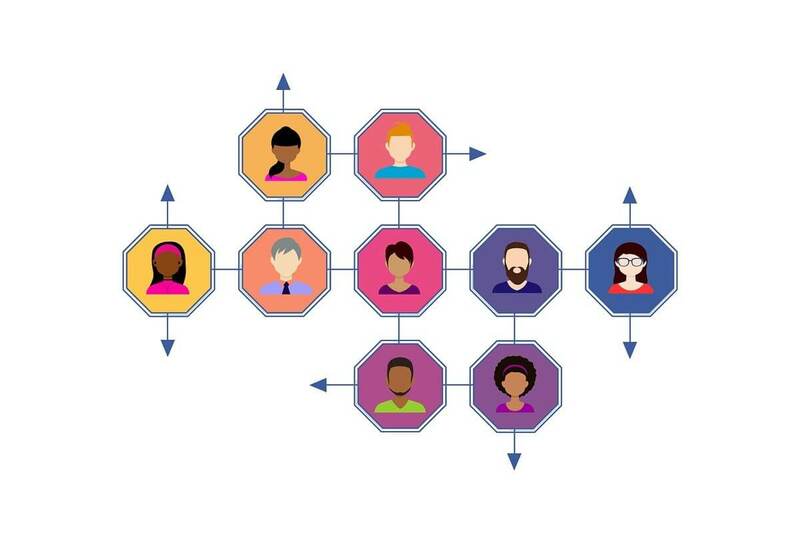 By now many of us are aware of social media marketing, I mean it’s quite apparent: you’re scrolling on Facebook and all of a sudden BAM there it is between your friends’ posts, a picture of a model wearing a cool shirt and a big blue button that says “Buy Now” or “Send Message”. When it comes to email marketing, the tactics start to transform into much more personable interactions. Remember, an email inbox is supposed to be your digital mailbox. Take a moment and reflect on the fact that your actual, tangible mailbox, is stationed in front of your home. As the mail receiver, you are quick to scan mails and categorize them as ‘worthy to open’ or ‘to be tossed in the trash bin’. This is true for both digital and tangible mails. Think about it: Home Address = Email Address. This means that as the email sender, you must be very thoughtful when creating the content for your email marketing campaigns. *Tip from the team: Always keep your audience, a.k.a email recipients in mind. Always. Special events – From ‘save the dates’, to event details announcement, to personalized invitations, there’s so approaches to filling your subscribers in on an upcoming event. *Example: sending a ‘save the date’ email blast for an upcoming event with the option for the recipients to add the event to their calendar with just a few clicks. 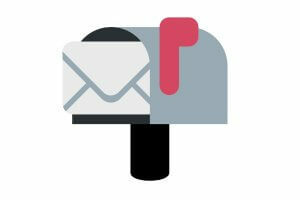 Company news – Any company news you would like to share with clients can be easily shared via a personalized email blast. *Example: introducing a new team member, updated rules & regulations, and holiday office hours. Seasonal specials – Any sales or special deals coming can be shared via email marketing to get people excited and intrigued. *Example: that special 2-day Christmas Sale you’ll be hosting? 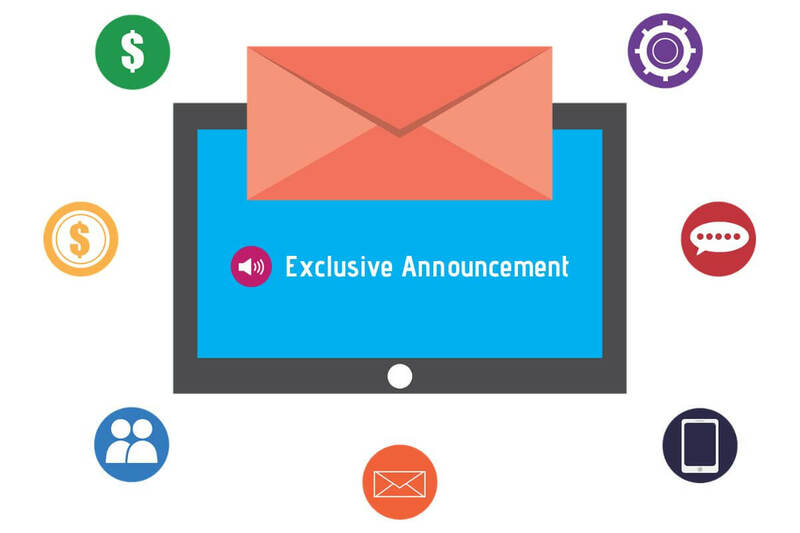 Send a blast to your clients about it so that your loyal following gets the inside scoop first! Product launches – Launching a new product or service in the near future? Start teasing the launch with email blasts. You can also opt ta launch your new product or service exclusively to your clients first. *Bonus: you can compare this type of campaign to a restaurant soft opening, which gives your subscribers that exclusiveness feel (you know what we’re talking about!). On top of that, you can also ask them for some honest feedback pre-public launch. 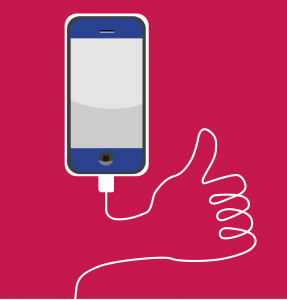 Feedback forms & reviews – Need we say it? People love voicing their opinions. So why not take the opportunity for them to share their positive opinions of their experience with your business? *Bonus: you can make use of the good feedback to pull in more clients, and you can make use of not-so-good feedback to learn from past mistakes and make improvements! Friendly reminders – Remind your customers why they came to your site. *Example: an email stating, “You’re cart misses you. The items in your cart are waiting for you…”, that also includes images of the products in your cart, is a great example of proactively engaging with customers to follow up on a potential sale. Show them that you care – Giving clients a little extra attention on their birthday is a big WIN. 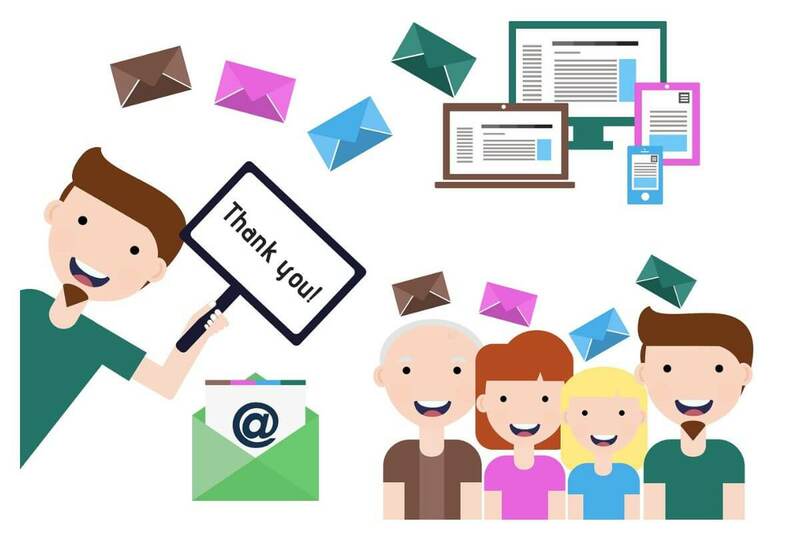 A ‘thank you for your business’ email is also a great way to remind clients that you care. *Example: exclusive birthday promo codes or gift to show your client you appreciate them. Make their day! – Simply sending out a “Wishing you a happy day today!” email blast once in a while, can potentially boost your customer appreciation ratio. *Bonus: this is a nice way to stay relevant to your client’s positive thoughts as well! 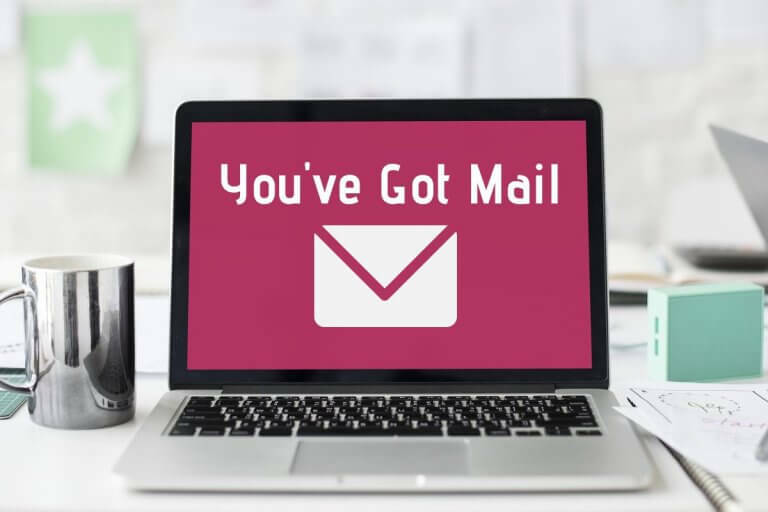 Get your marketing team on board with implementing email marketing campaigns as your in-house email marketing specialists, or you could also opt to ask a digital marketing agency, like us here at CaribMedia *wink wink*, to help you get started! Check out a snippet of CaribMedia’s monthly newsletter called, The Power-up Report, below. This newsletter is intended to share business insights and tips with our subscribers. As well as sharing new CaribMedia content like blogs and latest projects. If you would like to subscribe to our newsletter, you can do so by filling out this form. As promised, you can find some tips and tools to get you started on your email marketing journey below. Create your email list – Start building an email list, or gather the email addresses you already have and organize them in an excel file for ease of access. Focus on branding – Give your newsletter a catchy name that matches up with the branding of your business. CTA buttons – Have at least one CTA (Call to Action) button to push your email viewers to take action. Examples CTA buttons include, but are not limited to the following text: “Buy Now”, “Read More”, “Contact Us Today”, and “View Details”. Make sure your email has a responsive design – This entails being mobile-friendly, but also tablet and cross-browser user friendly. Don’t break the law – In 2018, something called the General Data Protection Regulation, or GDPR for short, was put into effect. If you have or plan to have email engagements with people and businesses from the E.U. this blog is a must read to make sure you don’t break the law. MailChimp – For creating email blasts, newsletters, and tracking engagement results. Canva – For creating graphics for your email marketing campaigns. CaribMedia – For email marketing consultation and/or services, such as setting up automated surveys. If you would like more information on how to start, what to do, or have questions about email marketing, feel free to contact us today!